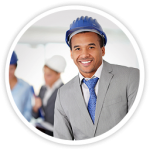 Missouri Corporation Formation - Missouri Business Services, Inc. The primary contact is the person we will contact if we have questions about your account or if we receive any documents on behalf of your company. This will be the username you will use to log in to view your account information. This is the full official name under which your corporation is to be organized in Missouri. Please mail my documents to a different address. Every corporation must identify a business purpose in its Articles of Incorporation. That purpose can be generally stated (e.g., the transaction of any lawful business) or specifically stated (e.g., providing real estate development services). The transaction of any lawful business for which a limited liability company may be organized under the Missouri Limited Liability Company Act, Chapter 347 RSMo. Your corporation will be formed and in legal existence effective upon the filing of Articles of Incorporation with the Missouri Secretary of State. If you wish to select a later effective date, please indicate that date here. Every Missouri corporation is required to have a physical location (a registered office) and an individual (a registered agent) located in the state so that the corporation can be “found” here for legal notice and other purposes. As part of your Corporation Formation Package, Missouri Business, Inc. will serve as your corporation’s Missouri registered agent for 12 months, if you wish. If you would like to identify a different registered office and registered agent, you may do so here. This information is public. Your corporation must have at least one director. Typically, corporations have an odd number of directors to prevent deadlock on material matters affecting the company. Your corporation is required to have, at a minimum, a President and a Secretary. These officers can be the same person. Missouri corporations can have other officers as well, including one or more vice presidents, a chief operating officer, a treasurer or chief financial officer, one or more assistant secretaries, one or more assistant treasurers, and any other officer positions you might wish to identify. Please identify the shareholders (owners) of the corporation. This information will not be made public but will be used only by MBLC for internal organizational purposes. This is the person or persons who will be identified in the public records as having organized the corporation. The incorporator performs a procedural function and typically does not have any ownership rights as a result of this function. As part of your Corporation Formation Package, an MBLC representative will be identified as the incorporation of the corporation if you wish to preserve your anonymity. If you would like to identify a different incorporator or incorporators, you may do so here. I have read and accept the Use Agreement. Looking for other Business Services in the State of Missouri?